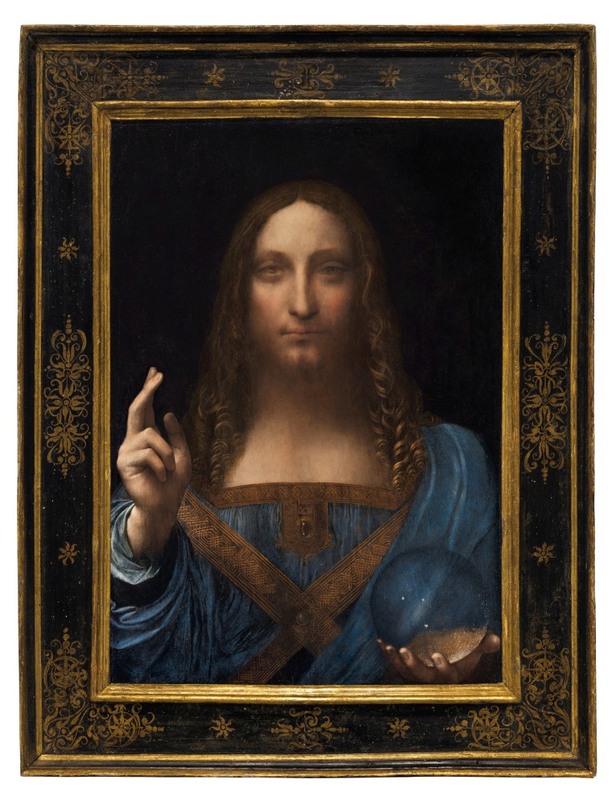 Leonardo da Vinci's "Salvator Mundi," considered by many to be the Holy Grail of the old masters, sold for a record $450,312,500 after 19 minutes of fierce bidding between two determined buyers on Wednesday night at Christie’s Auction House in New York City. The identity of the bidder was not provided by the auction house. Is this painting worth $450 million? As cheers filled the room, bidding at times jumped in clips of $10 million to $20 million. The price includes a buyer's premium in addition to the gavel price of $400 million. It is the most expensive work of art ever sold at auction. "I can hardly convey how exciting it is for those of us directly involved in its sale," said Christie's specialist Alan Wintermute. "The word 'masterpiece' barely begins to convey the rarity, importance and sublime beauty of Leonardo's painting." He called it "the Holy Grail" of old master paintings. The rare masterpiece by arguably the most important artist of all time was painted in the same time frame as the Mona Lisa, experts say. The renowned artist's painting of Jesus Christ as "Savior of the World" dates from about 1500, was rediscovered in 2005, and is considered one of the greatest artistic finds of the 21st century. This is the last Leonardo in private hands and there are fewer than twenty around the world, with the last one discovered in 1909. There is only one Leonardo on display in America, at the National Gallery of Art in Washington. The 26-inch haunting oil-on-panel painting depicts a half-length figure of Christ as Savior of the World, facing front and dressed in Renaissance-era robes. He is holding a crystal orb in his left hand as he raises his right hand in benediction. "Salvator Mundi" was owned by King Charles I of England in the mid-1600s and was auctioned by the son of the Duke of Buckingham in 1763. It was at once time believed to have been destroyed. The painting disappeared from 1763 until 1900, when it was bought by Sir Charles Robinson as a work by Bernardino Luini, a follower of Leonardo. It next appeared at a Sotheby's in England in 1958 where it sold for £45 — about $125 at the time. It then disappeared again until it was bought at a small U.S. auction house in 2005. The work's most recent owner was Russian billionaire Dmitry Rybolovlev, who bought it in 2013 for $127.5 million in a private sale that became the subject of a lawsuit. The painting drew huge interest as it made its way around the world leading up to the auction. Christie's says more than 27,000 people saw the painting first hand on the tour, the highest number of viewers for an individual work of art, according to the auction house. Many who viewed the painting said the experience moved them and that it was deeply spiritual. One top art consultant said, "you can build a museum around it and you'll have visitors for the rest of time." Svetla Nikolova, who is from Bulgaria but lives in New York now, called the painting "spectacular."